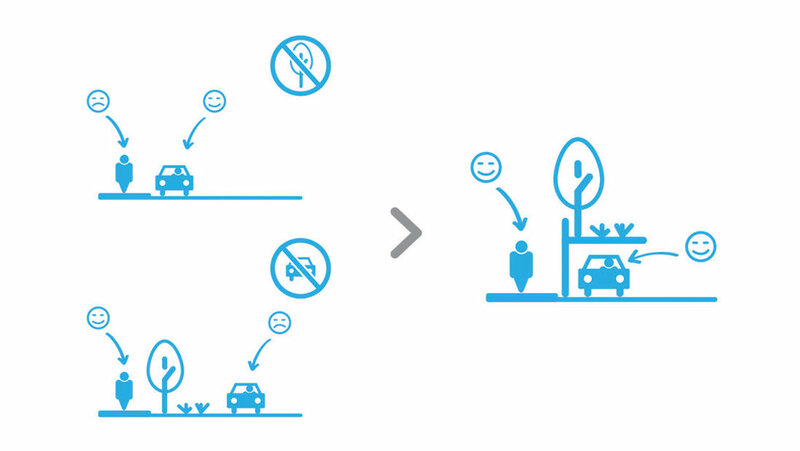 Parking gives drivers and pedestrians what they need and what they expect from the very centre of our city. 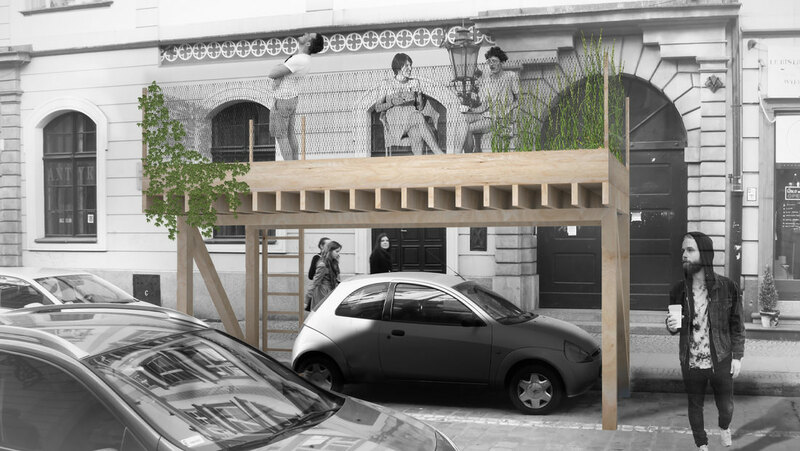 Rather than eliminate parking spaces under the new public space, we build platforms, increasing functional area. 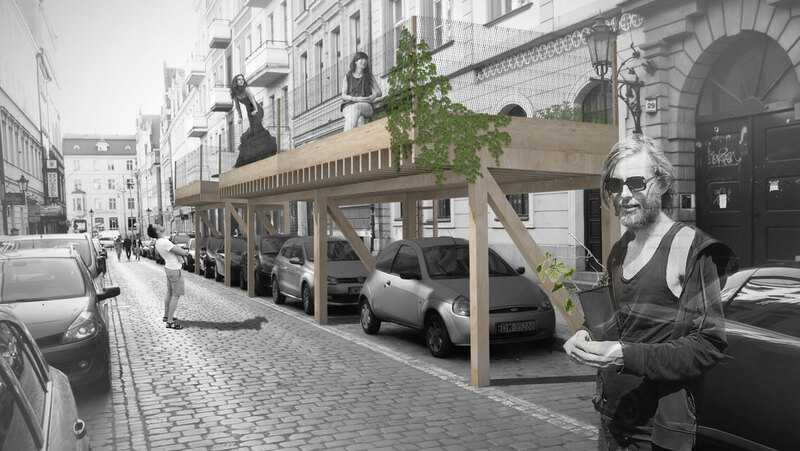 Project involves the construction of wooden terraces, which height is about 2 m. They are located directly above the parking spaces along the street. Terraces (about 6x2m) are surrounded by a simple balustrade. They can be reached by using a ladder located on the side of the pavement. Good arrangement of the poles allow parking cars under construction. The terrace can be covered by earth and planted with vegetation, or lined with planks, depending on the function they have to perform. They can be used as a summer garden for the surrounding cafes or simply be a piece of green in the city centre, used for relaxation of locals or tourists. They can also be combined to form a larger space which provides more possibilities for their us.